All attention in Greece and global financial circles has been understandably focused on the new Greek Government’s fierce confrontation with its implacable European creditors. Less attention has been paid to the Government’s plans to help midwife a new post-capitalist order based on commons and peer production. ague, John Restakis, wrote about this possibility a week or so before the January 25 elections. Now, speaking to the Greek Parliament last week, the new Deputy Prime Minister Gianni Dragasakis explicitly stated that Greece will develop new sorts of bottom-up, commons-based, peer production models for meeting people’s needs. · adopting open standards and patterns for public administration and education. 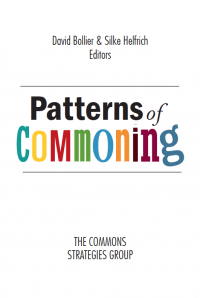 Creative Commons has just issued a report documenting usage patterns of its licenses. It’s great to learn that the number of works using CC licenses has soared since this vital (and voluntary) workaround to copyright law was introduced twelve years ago, in 2003. 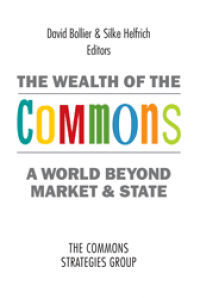 According to a new report, the State of the Commons, recently released by Creative Commons, the licenses were used on an estimated 50 million works in 2006 and on 400 million works in 2010. By 2014, that number had climbed to 882 million CC-licensed works. Nine million websites now use CC licenses, including major sites like YouTube, Wikipedia, Flickr, Public Library of Scien ce, Scribd and Jamendo. The report includes a great series of infographics that illustrate key findings. For any latecomers, CC licenses are a free set of public licenses that let copyright holders of books, films, websites, music, photography and other creative works choose to make their works legally shareable. The licenses are necessary because copyright law makes no provisions for sharing beyond a vaguely defined set of “fair use” principles. Copyright law is mostly about automatically locking up all works in a strict envelope of private property rights. This makes it complicated and costly to let others legally share and re-use works. The CC licenses were invented as a solution, just as Web 2.0 was getting going. It has functioned as a vital element of infrastructure for building commons of knowledge and creativity. It did this by providing a sound legal basis for sharing digital content, helping to leverage the power of network-driven sharing. As one of the countries hardest hit by austerity politics, Greece is also in the vanguard of experimentation to find ways beyond the crisis. Now there is a documentary film about the growth of commons-based peer production in Greece, directed by Ilias Marmaras. "Knowledge as a common good: communities of production and sharing in Greece” is a low-budget, high-insight survey of innovative projects such as FabLab Athens, Greek hackerspaces, Frown, an organization that hosts all sorts of maker workshops and presentations, and other projects. “Greece is going through the sixth year of recession. Austerity policies imposed by IMF, ECB and the Greek political pro-memorandum regimes, foster an unprecedented crisis in economy, social life, politics and culture. In the previous two decades the enforcement of the neoliberal politics to the country resulted in the disintegration of the existed social networks, leaving society unprepared to face the upcoming situation. The IASC Commons (International Association for the Study of Commons) has released a series of six short, artfully produced videos, “Commons in Action," that amount to short advertisements for important commons projects. Professor Michael Madison of the University of Pittsburgh School of Law is the host of the website. The Workshop is a collaboration among prominent academic scholars of the knowledge commons such as Brett Frischmann (Cardozo School of Law), Charlotte Hess (Syracuse University), Charles Schweik (UMass Amherst), among others. For anyone scratching their head about how to understand the deeper social and economic dynamics of online networks, a terrific new report has been released by Michel Bauwens called Synthetic Overview of the Collaborative Economy. Michel, who directs the Foundation for Peer to Peer Alternatives and works with me at the Commons Strategies Group, is a leading thinker and curator of developments in the emerging P2P economy. The report was prepared for Orange Labs, a division of the French telecom company, as a comprehensive survey and analysis of new forms of collaborative production on the Internet. The report is a massive 346 pages (downloadable as a pdf file under a Creative Commons BY-NC-SA license) and contains 543 footnotes. But it is entirely clear and accessible to non-techies. 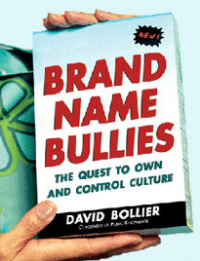 Unlike so many popular books on this subject that are either larded with colorful hyperbole and overly long anecdotes, or arcane technical detail, the Bauwens report cuts to the chase, giving tightly focuses analyses of the key principles of online cooperation. The report is meaty, informative, comprehensive and well-documented. Two main agents of transformation guide this work. One is the emergence of community dynamics as an essential ingredient of doing business. 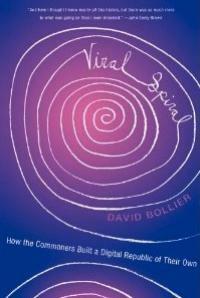 It is no longer a matter of autonomous and separated corporations marketing to essentially isolated consumers, it is now a matter of deeply inter-networked economic actors involved in vocal and productive communities. The second is that the combined effect of digital reproduction and the increasingly 'socialized' production of value, makes the individual and corporate privatization of 'intellectual' property if not untenable, then certainly more difficult , and in all likelihood, ultimately unproductive. Hence the combined development of community-oriented and 'open' business models, which rely on more 'social' forms of intellectual property. In this work, we therefore look at community dynamics that are mobilized by traditional actors (open innovation, crowdsourcing), and new models where the community's value creation is at its core (the free software, shared design and open hardware models). We then look at monetization in the absence of private IP. Linked to these developments are the emergence of distributed physical infrastructures, where the evolution of the networked computer is mirrored in the development of networked production and even financing. Indeed the mutualization of knowledge goes hand in hand with the mutualization of physical infrastructures, such as collaborative consumption and peer to peer marketplaces, used to mobilize idle resources and assets more effectively. The Great Value Shift -- And What It Means for "Memory Institutions"
On October 11, I gave a talk at the "Economies of the Commons 3 Conference: Sustainable Futures for Digital Archives." My remarks were entitled, "The Great Value Shift: From Stocks to Flows, from Property Rights to Commons." The text is below. A video of my talk (29:36 minutes) can be watched here. This panel is supposed to focus on new forms of value creation in the “audiovisual commons.” I am not an archivist and I’m not even a techie. But I have studied the commons quite a bit. Today I’d like to suggest how the idea of the commons can help us think more clearly how to manage sustainable digital archives in the future. The commons helps us in a number of ways. 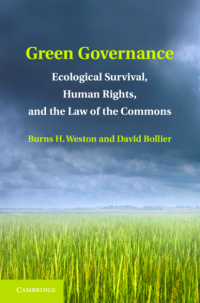 It gives us fresh philosophical premises, ethical principles, valuable legal models, and a worldview that can help us understand value in some new ways. 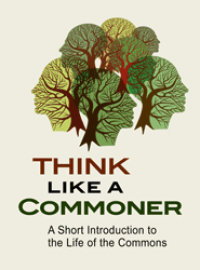 The ideas behind the commons are actually quite simple and obvious. It’s about access, sharing, fairness, collaboration and long-term sustainability. It’s about protecting and expanding a resource. But living in a culture that celebrates markets, large institutions and copyright has instilled some deep prejudices in us about how the world can and must work. The language of the commons can help us re-think these assumptions by giving us a new vocabulary and perspective. And if we’re ingenious enough, it may help us reinvent many contemporary systems of production and distribution as commons. Read more about The Great Value Shift -- And What It Means for "Memory Institutions"